We seem to know very little about what to eat to stay healthy and fit. This is true even though diet programs and weight loss plans are high profile and instantly spread across the world. For each new diet program that surfaces, there are several others that announce “this one is the best”. Take a look at The Zone or at the China Diet and you may never think about low-carb diets the same way again. Advocates of the China Diet the plan treat it almost like a religion. Most diet programs are created for Westerners and mostly for Americans. This makes sense since Americans seem to carry around more fat than any other group of people. Americans also struggle with high rates of conditions such as heart disease or cancer or diabetes. Americans may be skilled at making and spending money. However our energy levels and commitments diminish, when fitness is involved. We are lazy. We listen to our favorite television star tell us how to lose weight. When we get discouraged or annoyed with the lack of results from our own diet program, we hop off that one and surf the net for alternatives. Often we simply jump right into the first appealing one we see. Then we wonder why more Americans are fatter and have more health problems than other people on the planet. Many of us spend billions of dollars on diet pills regardless of their side effects; Or on diet programs that need even more money to purchase pre-packaged foods and supplements. Others spend even more money to engage in more risk-taking by going the route of invasive surgery such as gastric bypasses or liposuction. Many people invest all hopes for fitness in some famous and fancy marketing package. Then they think they have no more responsibility for thinking about their bodies. We do this. Just go on and eat and spend whatever someone else tells you is best. This is counter-productive. You could not stay in business or on schedule if you made other decisions this way. Rarely do we think we have the time to think through something that is confusing. Perhaps that time is somewhere else in your day. Is it really more important to discuss the latest football game or neighborhood gossip than it is to think about your own level of fitness and how to improve it? Do your homework. Find a diet program that works for you. You can set yourself up for health for a lifetime. Okay, now that you are listening, how do you find your way? Every person is unique. To find your perfect diet program is directly related to how you view your own life. How do you value your life? How do value do you place on yourself? How much control over your own health do you want to claim? Our bodies are one area where we can assert control and take charge of how we treat them. Are you ready to do that? Read. Read with a purpose. Then read some more. Conflicting information is common. Read with your mind and your eyes open. Sifting and sorting through so much information can be unpleasant. 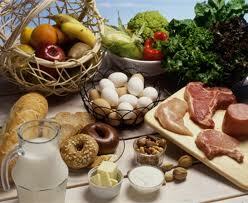 However, you may not only find a few great recipes en route, you may gain a fresh view regarding diet programs. Perhaps you will actually discover one to suits you. If it suits you, perhaps it will work for your lifetime. I think it is worth it, don’t you?